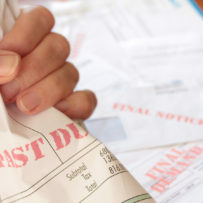 Rhode Island State Law provides that attorney fees and costs incurred in collection are added to the delinquent condo fee debt as part of the association’s lien. Attorney fees and costs are paid from funds collected. There are no attorney fees due unless successful. The use of lien and foreclosure powers means that there is no need for any court action. Executive members need only to communicate and cooperate with the attorney during collection. Visits to the attorney’s office are available, but not necessary since communication may be done via telephone, fax or email.